We say that our 1.5 acre site is (almost) wild. It is completely "off-grid" which means we don't have electricity, mains water or sewerage connections. Located between Sunniside and Marley Hill, on the border of Gateshead and County Durham, our site is rural, secluded and surrounded by trees. The site is also car free which means that its much easier for you to feel connected to nature when you are here. We are under a mile from Tanfield Railway and less than 3 miles from Beamish Museum, with the nearest bus services being the X30 and X31 from Gateshead and Newcastle - stopping at Tanfield Railway. We have developed the site in an environmentally friendly way, we re-use and recycle almost everything on site and we buy local wherever possible. Our most important site rule is "Leave no Trace". 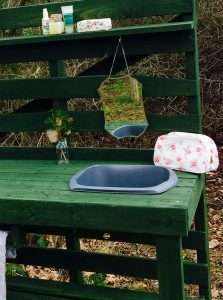 Our gorgeous 'Gypsy' composting toilet has become known as 'The Loo with a View'. 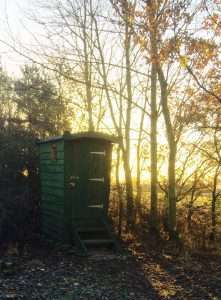 It couldn't be more different to a chemical 'portaloo' - it is waterless, environmentally friendly and also makes us useful compost. We provide you with plenty of drinking, cooking and washing water in our large water bowser. 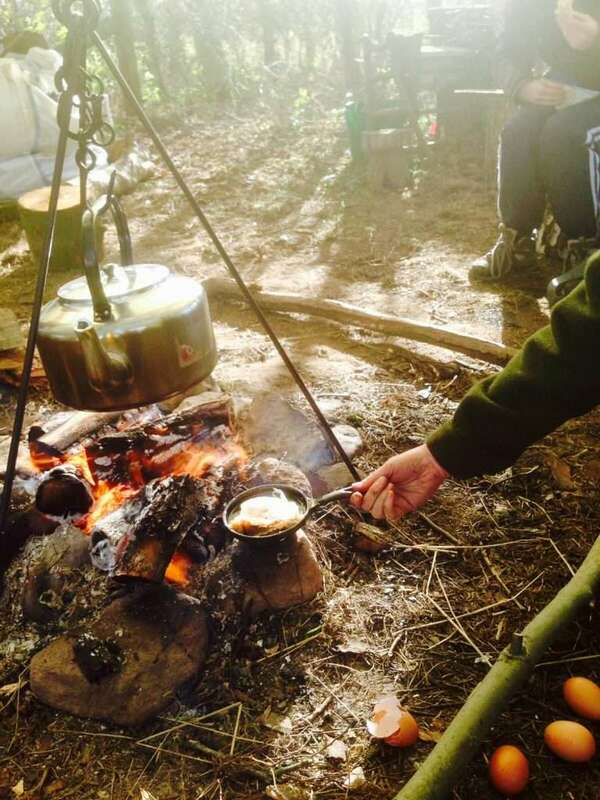 Our parachute covered camp fire area is great for group activities, enabling you to cook on an open fire, chill out and enjoy the camp experience together even if its raining. What to expect - some advice from the 9 year olds! Remember: never toast large marsh mallows they burn quickly and turn brown! Please come to birkheads wild you will have lots of fun and maybe camp there like my class too! Now you’re ready to go to birkheads wild!